Multiple Sclerosis (MS) is a chronic disease of the central nervous system with an uncertain cause. There is growing support for the view that insufficient sunlight exposure is a risk factor for MS. Sunshine enables the production of Vitamin D3 in the skin. Epidemiological studies have shown that higher Vitamin D blood levels are associated with lower risk, fewer relapses and a slower progression of MS. This site offers MS patients and all who are interested in the condition updates on latest research into the link between Vitamin D and MS. Your participation in this project funds all the GrassrootsHealth research and promotion. Ingrid van der Mei, Ph.D.
A short but amazing video! It opens our eyes for the importance of Vitamin D during pregnancy. Dr. Cícero talks about doses and why Vitamin D should be your first worry on choosing your prenatal Vitamins. A low-frequency CYP2R1 coding variant that exerts the largest effect upon 25OHD levels identified to date in the general European population and implicates vitamin D in the etiology of multiple sclerosis. Doses of vitamin D in excess of 6,000 IU/d were required to achieve serum 25(OH)D concentrations above 100 nmol/L, especially in individuals who were overweight or obese without any evidence of toxicity. Serum 25(OH)D concentrations up to 300 nmol/L were found to be safe. Stop vitamin D deficiency now! Raise the DRI to support breastfeeding mother and baby. Strengthen your immune system now to fight infection and prevent birth defects. Avoid obesity, particularly in childhood and adolescence, through a healthy diet and an active lifestyle. Research into preventing MS is a high priority for people with MS. The MS Society Prevention Workshop brought together around 50 delegates from around the world to discuss the future of research into the prevention of MS. Researchers concluded that, while evidence is only circumstantial as to the vitamin’s ability to prevent disease relapses, its multiple health benefits justify its recommended use by all. Insufficient maternal 25(OH)D during pregnancy may increase the risk of MS in offspring. Vitamin D is great for prevention of disease, but what about treatment after you've been diagnosed? Since March is National Multiple Sclerosis month, now is the perfect time to bring it out into the light.The protocol we'll be highlighting in this newsletter was developed by Dr. Cicero Coimbra of Brazil. Cholecalciferol supplementation with 10,400 IU daily is safe and tolerable in patients with MS and exhibits in vivo pleiotropic immunomodulatory effects in MS, which include reduction of interleukin-17 production by CD4+ T cells and decreased proportion of effector memory CD4+ T cells with concomitant increase in central memory CD4+ T cells and naive CD4+ T cells. Classification of evidence: This study provides Class I evidence that cholecalciferol supplementation with 10,400 IU daily is safe and well-tolerated in patients with MS and exhibits in vivo pleiotropic immunomodulatory effects. The reduction of axonal and neuronal loss by 1,25D3 in the context of an inflammatory assault to the central nervous system is a potential contributor to the putative benefits of vitamin D in MS.
Our data reveal a role for vitamin D in the regenerative component of demyelinating disease and identify a new target for remyelination medicines. Vitamin D status may impact neurodegeneration after CIS, although these results should be replicated in a second study. If confirmed in clinical trials, vitamin D supplementation may reduce long-term disability. Vitamin D supplementation over a large range of intakes (1,000 - 15,000 IU/d) were found to be safe. Vitamin D intoxication with D3 supplement is a rare condition and hypercalcemia mediated by serum 25(OH)D remains a scarce presentation. Serum 25(OH) D might not be a threat for inflammatory cascade, however obesity was found to be a positive predictor for hypercalcemia and inflammation. High 25(OH)D levels (at least 100 nmol/L) are associated with decreased axonal injury in MS. Conclusions: Our results that higher levels of 25(OH)D were associated with lesser accumulation of irreversible brain tissue damage support the importance of adequate vitamin D status in delaying MS progression. These data indicate an association between a low vitamin D status at the start of RRMS and the early conversion to SPMS. Low serum 25(OH)D and Epstein-Barr virus (EBV) are known risk factors for multiple sclerosis (MS). EBV infection is associated with an increased risk of developing MS, and MS disease activity is associated with anti-EBV nuclear antigen 1 (EBNA-1) antibody levels. It has been shown that intrathecal production of anti-EBNA-1 by B-lymphocytes can be attenuated by stimulation with vitamin D. Due to seasonal variation in 25(OH)D levels, we hypothesize that there is a seasonal variation in EBNA-1 antibody production, associated with 25(OH)D levels. Conclusion: There is a weak, but significant and persistent negative association between EBNA-1 antibody levels and 25(OH)D levels. The results indicate that 25(OH)D and EBNA-1 antibody levels are affected by a common, exogenous factor, or that the effect of vitamin D on MS disease may include modulation of anti-EBNA-1 antibody producing B-lymphocytes. GrassrootsHealth is now offering two free, one-hour online CME video courses – presentations by Dr. Robert Heaney, MD, and Dr. Carol Wagner, MD. Following completion of each course, you will be given a link to provide your contact information so you can be listed on our website as a participating practitioner. Practitioners wishing to be certified for the Protect Our Children NOW! project must complete the course presented by Dr. Carol Wagner to be listed on the website as a POC Certified D*practitioner. >> Protect Our Children NOW! Genetic findings support observational evidence that lower vitamin D levels are associated with increased risk of multiple sclerosis. Patients with MS had a lower increase in 25(OH)D levels with supplementation, even after accounting for putative confounders. Though some vitamin D comes from our diet (and more recently from supplements), we should not ignore the natural capacity that we possess to produce our own. Learn more about the Protect Our Children NOW! project, how you can get involved, and what it means to you. Additional information can be found at Protect our Children NOW! Dr. Robyn Lucas, a medically trained epidemiologist and public health physician. She is a professor at ANU medical school and supervises an ever growing number of doctoral students, not to mention she has contributed to over 100 published studies. Bruce W. Hollis, PhD, Medical University of South Carolina, identifies the key components that need to be adhered to in nutrient studies as well as how these components influence study outcomes. Robert P. Heaney, MD, Creighton University, examines the critical design features and standard frameworks for vitamin D studies. Robert P. Heaney, MD, Creighton University explores why vitamin D is important, how it works, how we get it and how much we need. Donate a bottle of Vitamin D3. The Vitamin D to Ameliorate Multiple Sclerosis (VIDAMS) trial: study design for a multicenter, randomized, double-blind controlled trial of vitamin D in multiple sclerosis. Contemp Clin Trials. 2014 Oct 10. Epub 1969 Dec 31. PMID: 25311447. Chicken or egg? The study (Munger et al., 2014) shows that MS disease activity on IFN-beta is linked to low vD levels and suggest the mechanism is via complex network of gene regulation. Clinical Trial NCT Number, Average daily dose in IU, Dose of Cholecalciferol in IU, Dose Frequency, Duration of the trial in months, Date of Study Completion. After the completion of a Clinical Trial it will take several months before the paper is published. Colleen has started exploring one calcitriol dose plus supplementary vitamin D3 treatment in MS. This research summary provides information to aid translational research efforts. "Please apply this information to your health - and share with a friend. The more people talking about the benefits of vitamin D and, potentially, the need for daily dosing - the faster we will move science into practice." Vitamin D: Does Less Sun Mean More Disease? The main reason for me (Gavin Giovannoni, neurologist) recommending vD supplements is for other potential health reasons, in particular bone health. I see little reason to justify leaving MSers in a vD deficient state (while waiting for more evidence). This is why I recommend vD supplementation with the aim of keeping levels above 100nmol/L or 40ng/ml all year round. Among patients with MS mainly treated with interferon beta-1b, low 25(OH)D levels early in the disease course are a strong risk factor for long-term MS activity and progression. It appears likely that for the optimal benefits of vitamin D supplementation, enough vitamin D should be provided on a daily basis to ensure that stable circulating concentrations are maintained over time. George Ebers, MD, University of Oxford, United Kingdom (UK), at ECTRIMS said, "When looking at the risks, costs and benefit equation, the risks of universal supplementation with vitamin D to reduce the risk for multiple sclerosis (MS) seem tiny, and the benefits are yet to be established but indirect studies are supportive. The cost of vitamin D is dirt cheap but the costs of MS are staggering and are increasing." Alberto Ascherio, MD, Harvard Medical School, Boston, Massachusetts, at ECTRIMS: Higher mean serum vitamin D levels early in the course of multiple sclerosis (MS) robustly predicted a lower degree of disease activity, MRI lesion load, brain atrophy, and clinical progression over 5 years of follow-up, according to new data from the BENEFIT study. One calcitriol dose transiently increases Helios+FoxP3+ T cells and ameliorates autoimmune demyelinating disease. The clever combination of a single dose of calcitriol, the active vitamin D hormone, followed by daily vitamin D3 supplements suppresses inflammation in the CNS of mice and suggest it has potential as an MS therapy. The next step is human clinical trials. Vitamin D supplementation and antibodies against the Epstein-Barr virus in multiple sclerosis patients. This study found that the initial antibody levels against EBV (EBNA1) (mean=77.98, SD=37.16) were significantly reduced after supplementation with vitamin D3 20,000 IU/day for 12 weeks. 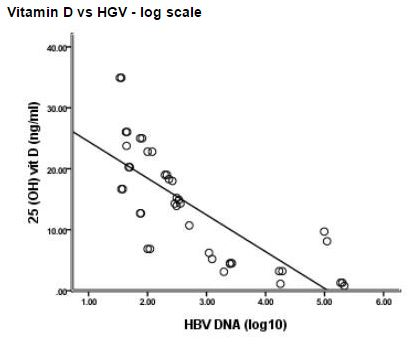 A remarkable study which shows that vitamin D influences the production of antibodies against the Epstein Bar Virus. Epstein–Barr virus (EBV) is thought to cause multiple sclerosis (MS). This study found that higher levels reported sun exposure, rather than 25(OH)D levels, were associated with less depressive symptoms and levels of fatigue. The role of UV or light therapy will need to be evaluated in randomized controlled trials to confirm an effect on these symptoms in MS. The results demonstrate that NB-UVB (300-315nm) is largely responsible for light-induced suppression of EAE and its effect is not via production of vitamin D.
This study demonstrate that vitamin D acts on peripheral nerve repair and myelination via the activation of several myelin-associated genes. In conclusion, although no significant association between high-dose vitamin D treatment and risk of MS relapses was found, the studies were limited by several methodological limitations. Further larger, more prolonged studies are merited. Melatonin secretion is negatively correlated with alterations in serum 25-OH-D in IFN-β treated patients with MS. The finding suggests that melatonin should be considered as a potential mediator of vitamin D neuro-immunomodulatory effects in patients with MS.
George C. Ebers, MD, a leading researcher with the University of Oxford and Oxford University Hospitals Trust in Oxford, United Kingdom has focused his research on genetic and environmental influences on MS risk. Is a vitamin D deficit a cause or an effect of MS? Barts and UCLP Research Day Question Time Question #5. Strong epidemiologic evidence supports a role for vitamin D insufficiency as a risk factor for multiple sclerosis (MS), shown by increasing disease prevalence with increasing latitude, and inverse correlation with duration and intensity of ultraviolet B (UVB) sunlight exposure and vitamin D serum concentration. We believe that conclusive demonstration of the efficacy in MS is still missing, and that the links between 25OH vitamin D intake, vitamin D status, and neurologic outcome remain hypothetical. If the debate question was framed as “Would I prescribe vitamin D 10,000 units to a patient with clinically isolated syndrome and an abnormal MRI scan?”, then the answer is, of course, “No”. I agree with the antagonists in this debate that phase 3 trial data are needed before using vitamin D as a therapeutic agent. However, those trial data will take at least another 2-3 years to collect. Thus, while waiting for that proof, if I, or my children, developed a clinically isolated syndrome with an abnormal MRI scan, then I would have no hesitation in prescribing vitamin D in that dose for them. 50,000 IU of vitamin D3 weekly for 12 months may delay the onset of a second clinical attack and the subsequent conversion to MS.
"If you are pregnant or planning to fall pregnant you need to make sure you are vitamin D replete. This may lower the chances of your child getting MS and other autoimmune diseases. My recommendation for pregnancy is 10,000U vD3 per day; this is double my recommendation of 5,000U per day for adults." Since January 2001, a vitamin D3 supplement was ingested daily. The starting dose was 20 mcg (800 IU)/day and escalated to 100 mcg (4000 IU)/day in September 2004 and then to 150 mcg (6000 IU)/day in December 2005. Vitamin D3 intake reduced muscular pain and improved ambulation from 1 (February 2000) to 14 km/day (February 2008). Through rigorous epidemiological investigation, Epstein-Barr virus infection, vitamin D nutrition and cigarette smoking have been identified as likely causal factors in MS.
One of the most important developments in the prevention of multiple sclerosis (MS) is a world first clinical trial set to take place in Australia and New Zealand. It will test whether vitamin D can prevent MS in those at risk of developing the disease. 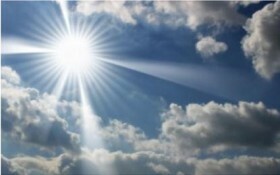 We all know that having proper levels of vitamin D is important to our overall general health. But scientists are continuing to gain more understanding about the link between vitamin D levels and what it means to people living with MS.
Low blood levels of vitamin D are associated with an increased number of brain lesions and signs of a more active disease state in people with multiple sclerosis (MS), a new study finds, suggesting a potential link between intake of the vitamin and the risk of longer-term disability from the autoimmune disorder. The vitamin D deficiency affecting the F0 pregnant mice induced a precocious and more severe EAE in the F2 generation. In MS patients a trend for a reduced number of births in the Fall for their parents was observed but statistical significance was not reached. Further well powered studies are warranted to validate the latter finding. Dr. Colleen E. Hayes, Ph.D., Professor of Biochemistry, University of Wisconsin-Madison about "Solving the Multiple Sclerosis Problem: A Role for Vitamin D". Higher serum 25(OH)D concentrations may reduce the risk of Alzheimer’s disease. Based on results from other studies, serum 25-hydroxyvitamin D concentrations should be above 40 ng/ml (100 nmol/l) for optimal health. Bruce Taylor highlighted the fact that all those patients who were given Interferon-beta were far more efficient in producing vitamin D in their skin. They had nearly three times more vitamin D than those who were not on the treatment. A study in which 156 RRMS patients were supplemented for 2,5 years with a moderate vitamin D dose (3000 IU/day) has reported a marked reduction of relapses (more than 50%). The vitamin D3 supplementation increasing vitamin D serum levels, up to 110 nmol/L (44 ng/ml), with a plateau effect beyond this level. Suggesting, therefore, that it is particularly useful to correct vitamin D deficiency in MS patients when present. Vitamin D deficiency (< 100 nmol/L) is present in 90% of the MS patients. Furthermore, because of the plateau effect beyond 110-120 nmol/L, it may not be necessary to prescribe high, not physiological vitamin D doses (beyond 4000 IU/day). The results of 3 independent studies published in Neurology® suggest that higher levels of circulating 25-hydroxyvitaminD (25OHD) may reduce relapses and lesions on MRI in persons with multiple sclerosis (MS). It is too soon to recommend the use of high-dose vitamin D in clinical practice. Meanwhile, considering the high prevalence of vitamin D insufficiency and deficiency in persons with MS, the high risk of osteoporosis, and the safety of vitamin D at modest doses, the evidence is sufficient to recommend monitoring of vitamin D levels and supplementation as needed to achieve at least a year-round level of vitamin D sufficiency in persons with MS.
Our finding that higher vitamin D levels are associated with decreased exacerbation risk in relapsing-remitting MS suggests a beneficial effect of vitamin D on disease course in MS. However, the possibility of reverse causality cannot be ruled out completely. Randomized intervention studies are therefore needed to investigate the effect of vitamin D supplementation in MS. In this study, we found that IFN-β therapy is associated with greater production of vitamin D from sun exposure, suggesting part of the therapeutic effects of IFN-β on relapse in MS may be through modulation of vitamin D metabolism. These findings suggest persons being treated with IFN-β should have vitamin D status monitored and maintained in the sufficiency range. Increasing levels of 25-hydroxyvitamin D are inversely associated with a significant and consistent reduction of active lesions on MRI in untreated patients with MS. A randomized controlled trial sufficiently powered to capture moderate, but still potentially important effects, is needed to prove a causal relationship between vitamin D levels and disease activity in MS.
European Neurological Society 2012: 3,000 neurologists meet in Prague. Oral administration of vitamin D is recommended for individuals with a vitamin D deficiency and for those who already have MS.
Investigators at several centers in the USA are recruiting 172 people with relapsing-remitting MS to compare the effectiveness of the current recommended amount of vitamin D supplementation versus high dose vitamin D supplementation at reducing MS disease activity, when added to standard therapy with glatiramer acetate (Copaxone®, Teva Pharmaceutical Industries). New research suggests that people who are exposed to low levels of sunlight coupled with a history of having a common virus known as mononucleosis may be at greater odds of developing multiple sclerosis (MS) than those without the virus. Mowry EM et al. – Vitamin D levels are inversely associated with multiple sclerosis (MS) activity on brain MRI. These results provide further support for a randomized trial of vitamin D supplementation. Human skin pigmentation evolved as a compromise between the conflicting physiological demands of protection against the deleterious effects of ultraviolet radiation (UVR) and photosynthesis of UVB-dependent vitamin D3. The PrevANZ vitamin D clinical trial for prevention of MS is the world first prevention trial for MS. It is set to begin in Australia, using Vitamin D to prevent repeat attacks of Multiple Sclerosis. The PrevANZ trial will test 3 dosage levels of daily vitamin D supplements (1000, 5000 & 10,000 International Units) against placebo (dummy tablets). A clinical trial will test whether Vitamin D can help fight multiple sclerosis (MS). If successful, researchers say the trial could open the door to a treatment which is 100 times cheaper than other drugs available. One year supplementation with 20,000 IU vitamin D(3) weekly and no calcium daily raised the mean serum 25-hydroxy vitamin D (25[OH]D) from 54 to 110 nmol/L. 84% of patients reached a serum 25(OH)D level > 85 nmol/L in the vitamin D group and 3% in the placebo group. Patients in the vitamin D group showed fewer new brain lesions. Vitamin D3 add on treatment to IFNB reduces MRI disease activity in MS.
Two year supplementation with 20,000 IU vitamin D(3) weekly and 500 mg calcium daily raised median serum 25-hydroxy vitamin D (25[OH]D) to 121 nmol/L. Unfortunately, the sample size was too small to result in beneficial effects on the measured multiple sclerosis-related outcomes. Following fresh concerns about vitamin D deficiency, the UK’s 4 Chief Medical Officers have written to health professionals reminding them about this issue. England's chief medical officer Dame Sally Davies has begun campaigning to the English medical fraternity that certain population groups like under-5s should take vitamin D supplements. An International Workshop “Vitamin D and MS Prevention" discussed the latest findings relevant to vitamin D and MS and potential clinical trial designs, taking the first steps to making these exciting studies a reality. Prof George Ebers, a University of Oxford professor, has said rates of multiple sclerosis are so dire in Scotland essential foodstuffs should be fortified with vitamin D.
Researchers have just finished an exciting summit asking the question, can we prevent MS with Vitamin D? Prof George Ebers, lead study author at Oxford University, says "This type of finding has not been seen in any complex disease. The uniform transmission of a variant to offspring with MS is without precedent but there will have been interaction with other factors." Research has now shown that Vitamin D3 (Cholecalciferol) can, not only prevent MS, but also can reduce MS-attacks, MS-lesions in the Brain as seen on the MRI and also reduce the progression of MS. Thus Vitamin D3 may even prevent the wheel chair. These findings have to be re-established in larger clinical trials. Two genes linked to vitamin D were also implicated; research is increasingly pointing to low vitamin D levels in patients as a risk factor for developing MS.
New research suggests that people who are exposed to low levels of sunlight coupled with a history of having a common virus known as mononucleosis may be at greater odds of developing multiple sclerosis. One of the most enigmatic features of the complex disease multiple sclerosis (MS) is the observation that season of birth influences the risk of developing the disease later in life being higher in spring born and lower in fall born individuals. There is mounting evidence that alterations in the gastro-intestinal microbiota (due to lifestyle changes) have disrupted microbial-mediated mechanisms of immunological tolerance within and outside the gut and can affect various immunologic diseases in humans. Dr. Vieth and other vitamin D researchers around the world believe they can prove vitamin D could help millions live longer and be healthier and yet they have not been able to convince their own governments. For the first time, researchers have found evidence of a direct interaction between vitamin D and a common genetic variant, the presence of which increases the risk of developing multiple sclerosis. The research highlights the importance of studying the interaction of genes and the environment to search for the underlying triggers of this complex disease. A total of 2,300 women will be recruited and followed for four years with half of the participants randomly assigned to take daily supplements containing 2,000 IU of vitamin D3 and 1,200 mg of calcium; the second group will receive placebos. In the study, people who had low vitamin D levels, 17.8 ng/mL (44.5 nmol/L) or lower, were 26 percent more likely to be dead at the end of the study than those with higher vitamin D levels. Sign up to participate in this study and get your vitamin D tested with a blood spot test from ZRT.